Sharon Staley brings more than four decades of industry experience to this year’s ASID Show Home Tour. She grew up in the business: with a thriving furniture business in Houston, her father once served as president of the Furniture Association. Sharon inherited his passion for exquisite furnishings as well as his commitment to the industry. 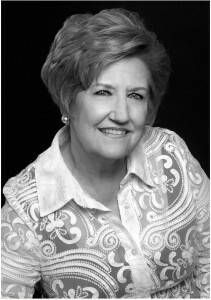 She has received numerous accolades, including ASID Fellow, ASID Presidential citations, ASID design awards, and also is a past president of the ASID Texas Gulf Coast Chapter. Well-known for her diversity, Sharon heads her own full-service design firm, Sharon Staley Interiors, handling a wide range of residential, hospitality, commercial, and new-home construction projects. From homes in the Cayman Islands and Santa Fe to hotels and high-rises in Houston, Sharon has yet to find a challenge she can’t meet. Sharon Staley has over 40 years of experience in Interior Design. Growing up in the industry, Sharon shares the same passion for exquisite furnishings today that her father did when he was President of the Furniture Association. Sharon has received numerous accolades including ASID Fellow and former ASID TGCC President, several ASID Presidential Citations and ASID design awards. Just last year she received Design of Distinction and VIP Woman of the Year. Sharon Staley Interiors is a full service firm that specializes in residential, commercial, hospitality, and new home construction.